My favorite pens are a great price today. If you have older children, these would be a great item to tuck into Easter baskets. I also like to give these to teachers so you can grab a pack now for Teacher Appreciation Week. You can get 12 of these Flair pens for $6.92 which is a really, really good price. 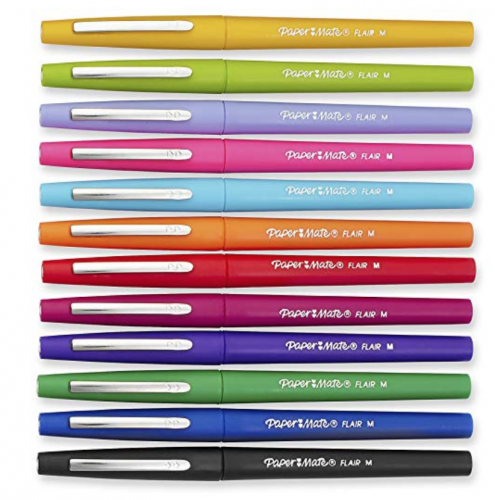 These pens are bright and colorful, have a perfect fine point tip and typically don’t bleed between pages. You can click here for the Papermate Flair Pens . Please note the price may change at any moment and is valid as of 10am PST, 3/20/19.